Is it possible for Atlantic Yards arena price tag to be cut (nearly) in half? And what would that mean? New York Times reporter Charles Bagli, who last March almost casually broke the news that the price tag for the Atlantic Yards arena had reached $950 million (from $637.2 million as approved in December 2006), last Friday slipped in another cost estimate with major implications. Forest City has indicated that it will delay building its planned office tower or the first of the residential buildings, but it is still hoping to start construction later this year on the arena, which was designed by the architect Frank Gehry. Knowing that it could not obtain financing in the credit markets for an arena costing $1 billion, Forest City has put engineers to work trying to cut the price in half. That's a pretty dramatic reduction, and it raises a question: what would a $500 million arena look like? It likely wouldn't look like the $950 million arena (right), as depicted in desgins released last May. Keep in mind some other price tags: the Prudential Center in Newark, which opened in 2007, cost $380 million; the American Airlines Center in Dallas, which opened in 2001, cost $420 million; and the new Orlando arena, under construction and scheduled to open in 2010, will cost $480 million. Keep in mind that New York City Department of Finance Commissioner Martha Stark testified before Congress on October 24 regarding Yankee Stadium: "Labor, transportation and overall construction costs are about 40 percent higher in New York City, on average, than in the other cities." So, even with expected declines in construction costs and expected compromises from unions and contractors, it's hard to imagine that an arena only slightly more costly than the Orlando facility could be build in New York City. Also keep in mind that by September 2005 the projected cost of the arena was $555.3 million. And wouldn't it cost more to build over a railyard in New York than on land in Orlando? The Daily News, quoting an anonymous source, reported earlier this month that the leap in cost to $950 million came from the cost of high-security glass. "Security is one component of the cost of the arena, but by no means the most significant," said the source. "There are a whole host of reasons why the current design is expensive, including the size, the signature look and the materials. It would be very difficult to fund this arena in this economic environment." So if the arena design presented by architect Frank Gehry last May (top) has been discarded or significantly altered--with, for example, much less glass--what would remain? At what point does it become a "design inspired by Gehry" arena rather than a "Gehry-designed arena"? And what would sponsors and suite buyers think? "We've never pitched this as an arena — we've pitched it as a landmark," Nets CEO Brett Yormark told the Bergen Record last April. I suspect some of those people who signed up for a Frank Gehry "landmark" might want to see the current designs. 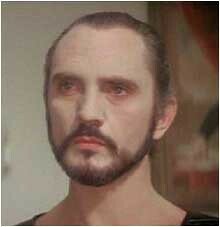 And that Yormark has some explaining to do. 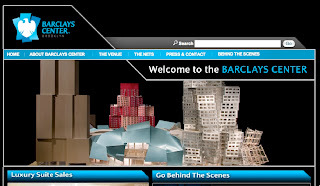 The Barclays Center web site is still using the old designs. Always remember that the hard cost of the arena, and the cost once you include fees, contingencies and other bits necessary for the financing of the arena are very different numbers. If the $1 billion arena was actually a $700 million arena with a bunch of fees and soft costs chucked in there's much less room for cutting than the latest FCR spin indicates.